Salty ocean water can be a nuisance. It’s undrinkable and it corrodes nearly everything it touches. But salt water’s inhospitality has always had one benefit: The salt kills microbes, making the ocean a fairly antiseptic environment. Or so we thought. In the late 1990s, oysters in Chesapeake Bay began turning up infested with Cryptosporidium, a freshwater microbe familiar to backpackers who drink unfiltered stream water. It causes diarrhea and is occasionally fatal in young or weakened people. Then last year Rebecca Gast, a biologist at Woods Hole Oceanographic Institution, found another common freshwater microbe in the Great Salt Lake, Utah: Legionella. 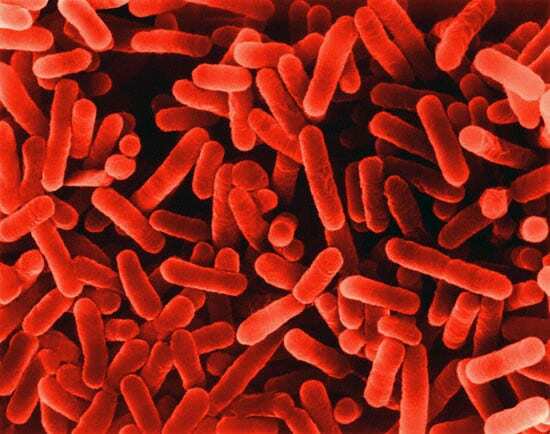 Several species of this bacterium cause Legionnaires’ disease, an illness that causes pneumonia, confusion, and fatigue. Suddenly, the possibility arose that freshwater microbes traveling by stream, gutters, and sewage systems might be surviving the jump into salt water. So for the past year, Gast and colleague Linda Amaral-Zettler of the Marine Biological Laboratory in Woods Hole have been conducting a sampling project to see what’s actually lurking out there in the oceans. With funding from the Woods Hole Center for Oceans and Human Health, they have been working in nearby Mount Hope Bay. 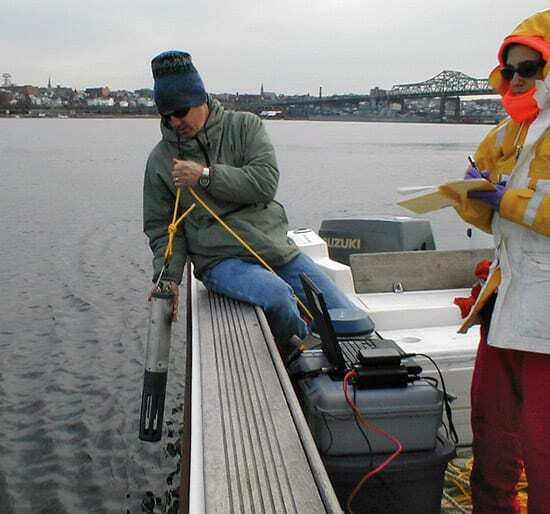 Wedged between Fall River, Mass., and Bristol, R.I., the bay receives plenty of runoff, which can be rich in the nutrients and organic matter that microbes thrive on. Mount Hope Bay also has relatively warm waters that might make it easier for human pathogens to survive, Gast said. The summer sun heats the shallow bay, and a power plant empties water approaching human body temperature (98°F or 37°C) into the bay. Initial findings proved a basic premise in marine microbiology: “The more you look, the more you find,” Amaral-Zettler said. 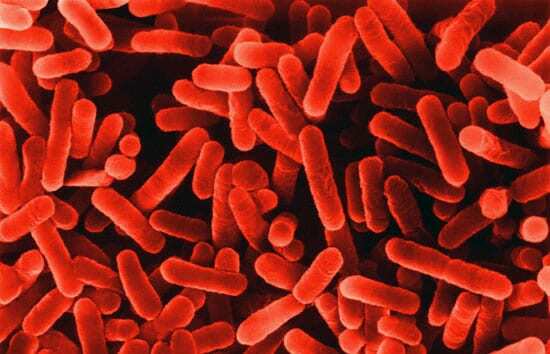 Samples taken in 2005 turned up 32 strains of Legionella. Subsequent DNA typing indicated that none were the strain responsible for Legionnaires’ disease. Still, the saltwater discovery was unexpected. “We’re seeing a huge diversity of Legionella in marine environments that mirrors what people see in fresh water,” Gast said. After combing through a hefty green textbook titled simply Legionella, Gast still hasn’t found the names of the 32 strains—or whether they’ve been formally described at all. New to science or not, it would help to know whether the Legionella in Mount Hope Bay can make beachgoers sick. To find out, Gast found published DNA sequences for disease-causing genes in other Legionella. Now, she is constructing experiments that will look for those harmful genes in the Legionella from Mount Hope Bay. Gast and Amaral-Zettler started looking for pathogenic Legionella because of a quirk: The bacteria can invade amoebae and in doing so become more virulent. Amoebae fight infections by trying to digest the invaders. That’s the same way human white blood cells operate, so Legionella cells that have survived inside amoebae also tend to foil human immune systems. The two scientists are also testing the Mount Hope Bay samples for two kinds of amoebae that cause problems all on their own: Naegleria and Acanthamoeba. People most often encounter Naegleria by taking a dip in warm, stagnant fresh water. Though cases are rare, it causes a brain infection that is fatal. Acanthamoeba is more widespread, found in fresh to salty water and even contact lens cases. It can cause persistent eye infections and occasionally attacks the brain. Next, Gast and Amaral-Zettler will test samples for Cryptosporidium and Giardia, another common stream-water microbe that can cause desperate sprints to the bathroom. The Web page for Gast's and Amaral Zettler's research project. Read about Gast's and Amaral-Zettler's research as it was presented at the Ocean Sciences meeting February 2006 in Honolulu. Medical details from the Centers for Disease Control.